Working alone, Benson devises systems for holding roof members in place while getting ready to install roof rafters. 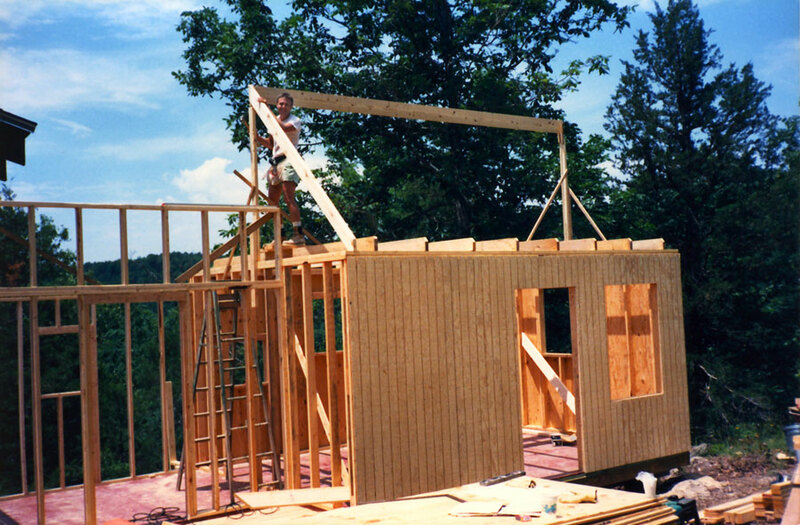 Here he uses a vertical brace to hold the ridge board in place. The ridge board is the board that runs along the top edge of all the roof rafters. 1990, scanned color print, 3 x 5 in. (7.62 x 12.7 cm). Ozark Series. © 2008 by Allen C. Benson.